Devon Ravenel, a wicked rake with a reputation to span the country, has just learned that his cousin died in a accident, and now Devon is the Earl, which is his greatest fear! Now he has many responsibilities and all he craves is his freedom from it all. Devon, along with his brother Weston, are heading toward Devon’s estate and make decisions. Upon arrival, all that Devon wants to do is to sell it, and sell of everything that is entitled to him as the newest Earl. He wants zero duties and responsibilities and wants to be able to return to his normal routine. But upon meeting his cousins and the wife of his late cousin, Devon is startled into a new reality. A reality that takes both Devon and Weston out by storm. He realizes that he needs to give this a shot, he knows its near impossible to try to save everything with a huge debt he has also taken responsibility of, but he also realizes that there is something more driving him to be more than what he has always been. He sees hope and affection and a life outside what he has always imagined. Devon is a hero that at first you don’t like at all. Devon is irresponsible, cocky, arrogant and just wants to do what he wants with little or no consequence. Devon has never known affection apart from his brother. What Devon becomes in this story is a person that is remarkable and full of depth and strength of will that surfaces. We see a character that comes into his own skin, and finds purpose and meaning in life. Devon is a character that avoids anything serious, he is all about enoyment and being in the city. He can’t stand country life or all that has been heaped upon his shoulders. What is truly miraculous about his character was the change that becomes evident from the very beginning. He starts as a young man that is determined to sell everything off and get as much as he can from it and move on. But then he meets a certain widow, and his whole perspective changes. It is truly wonderful to see this change happen, to see a character you don’t like from the first page and become a hero to admire. Kathleen married Theo out of duty and because she thought that they would suit well together. Kathleen has never truly known love of family. Her own parents shipped her from Ireland, so that she could be raised on a horse farm. Then she grew up in a home of hard work and dedication, but no love was there, but was something she had always hoped to find. Kathleen is spirited and strong diligence, she fights for what is right not what is easy. Kathleen is a heroine that impressed me. Because she is grieving her husband’s death, dealing with guilt and she is able to fight for the estate and all those that reside there. She can put sense into Devon and she knows exactly what buttons to push. I loved her determination. She has a short fuse though, so when she gets riled—you better watch out. What a beautifully woven story that kept me warmed to the toes! 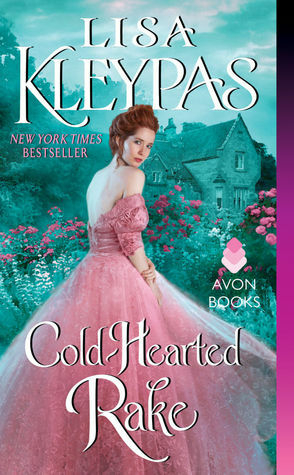 This is the first time Kleypas has returned to writing historical romance, after being so involved in her contemporary series so I was impressed with what she has done with Cold Hearted Rake. 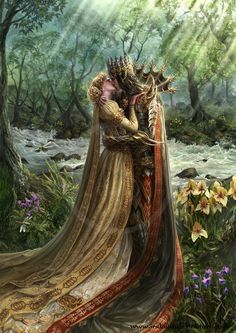 Now not only is this a fantastic love story, but she also sets the stage for future books in the series and to set up the feeling of the Ravenel’s. I loved the course that the plot takes in this story. Its sets off with our hero and heroine meeting and hating each other from the beginning. There is no quick love match here. In fact, it takes time and work for these two to build something worth fighting for. It was quite interesting to see the tempers flare, and ignite into one hell of a fire. Oh boy, do these two like to go at it like wolves. No light playing here, full on and intense. But is there chemistry! This is what I admired so much about this book, is seeing the hate to love feeling develop. Now this isn’t your average angsty romance, because it doesn’t have that feel to it. Its fun and easy going at times, and the humor just hits the right spot with the tone of the story. 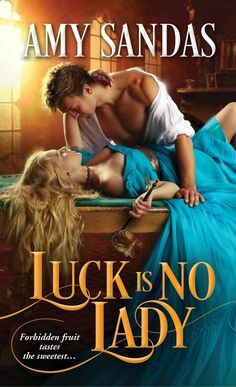 This is what I have come to truly admire about Lisa Kleypas, is her ability to balance out variables and come out on top with a delectable romance. The secondary characters were the icing on the cake for the Cold Hearted Rake here. First we have Weston. Now Weston was a hoot!! He is very much alike his brother, but in some ways worse off as far as how much he drinks and carouses around town. Started to get fat (from all the laziness and drinking) and has no real motivation to do anything meaningful. Then that all changes, when his brother challenges him with the estate and boy do we ever see a change. He takes to the country and farm life like a fish to the sea. A complete natural once he gets his hands dirty. He also has developed a close bond with the girls here…both the widow and his cousin’s sisters. Then we have Helen, Cassandra and Pandora were such a unique aspect to the story and each of them play vital roles. Helen (which is our heroine in the next book) is wonderful. Talented, education but shy at times, which is probably why I was so endeared to her. But watch out, because this character has spine when you least expect it from her. Cassandra and Pandora are twins and what spirit these two have. In fact, they are ‘heathens” don’t care about rules at all, and love to play and do what they want. These two added a good energy level to the story that really aids in some other aspects of building of the plot. The romance is slow and easy, and I love seeing this in romances. In my mind, it builds more depth and the reader is able to connect with the story on a deeper level. There are certain key points that happen in the plot that are essential to Devon and Kathleen truly coming together. This is a story that is enriching, heart warming and is a must read for any historical romance lover. Aww!! I just adore this cover…its so pretty. I just can’t get enough of her dress especially since I love pink. And I like the manor in the background, with the garden and the teal colors….the cover almost has a “painting” quality to it. The Cold Hearted Rake is a phenomenal story that is sweet and full of laughs, plenty of endearing character to keep you asking for more, and a love story that leaves you breathless!! A TRUE GEM! !